Matt is missing. Bonnie's brother left his classroom to use the bathroom --and disappeared. A police dog traces his scent to the curb, where he apparently got into a vehicle. But why would Matt go anywhere with a stranger? Overwhelmed with fear, Bonnie discovers that her dog is gone, too. Was Pookie used as a lure for Matt? Bonnie makes one big mistake in her attempt to find her brother. In a chilling climax on a Washington State ferry, Bonnie and Matt must outsmart their abductor or pay with their lives. Peg Kehret was born in Wisconsin, grew up in Minnesota, spent fourteen years in California, and now lives with her husband in Washington State. They have two grown children, four grandchildren, one dog, and one cat. 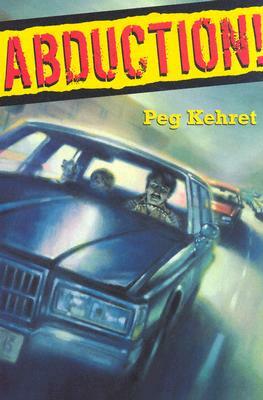 Peg's novels for children are regularly recommended by the American Library Association, the International Reading Association, and the Children's Book Council. She has won many state "young reader" or "children's choice" awards. Peg's characters are ordinary kids who find themselves in exciting situations and who use their wits to solve their problems. There is usually humor as well as suspense in her books. A long-time volunteer at The Humane Society, she often uses animals in her stories. Before she began writing books for children, Peg published plays, short stories, articles, and two books for adults. She is a frequent speaker at conferences for librarians and teachers. At the age of twelve, Peg had polio and was paralyzed from the neck down. Because she can remember that experience and her year of recovery so vividly, she finds it easy to write in the viewpoint of a twelve or thirteen year old. Most of her main characters are that age. Her autobiography, Small Steps: The Year I Got Polio, won the Golden Kite Award from the Society of Children's Book Writers & Illustrators, and the PEN Center USA West Award for Children's Literature. When she is not writing, Peg likes to watch baseball, bake cookies, and pump her old player piano.